littlemissMOJO! : MOJO MONDAY: Give yourself a SPIRITUAL MAKEOVER in 21 days! MOJO MONDAY: Give yourself a SPIRITUAL MAKEOVER in 21 days! Dr. Deepak Chopra, scholar, activist, best-selling author, and spiritual leader is offering a FREE 21-day meditation series through The Chopra Center. Starting July 16th, The Chopra Center will be presenting a new meditation exercise each day for 21 days. You'll get the downloads emailed right to your inbox when you register. It's the easiest way to test the waters if you've never practiced meditation before, and to commit consistently if you have. They say it takes 21 days to create a habit. This is one you want in your life. Trust me, I wasn't always this "gung-ho" about it. It took time, patience, and practice. But now I see significant shifts as a result, so there's no denying the impact. I want you to experience that for yourself. I even feel the difference daily now based on whether or not I meditate. Don't have time? MAKE SOME! It's not about religion or subscribing to anything other than stepping up your MOJO (whatever that means for you). It's like exercise for your mind-soul-spirit. You go to the gym to exercise your body. 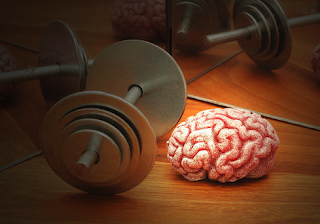 Why not meditate to exercise your brain? It's all about slowing down the inner monologue in our minds so we can process everything more clearly. Neuroscientists have proven that meditation actually changes our brain chemistry, causing positive shifts in how we process fear and anxiety. Check out these articles from Psychology Today and The NY Times for some interesting info on the mind-body connection and the positive implications of meditation. To start practicing before Monday, read my previous post on this topic and try these simple, guided mediation videos on YouTube. They just focus on relaxation and breathing, the foundation for any practice. You don't have to be a master to participate. I'll be starting this challenge next Monday... challenge yourself! Okay lady, I'm gonna try this!